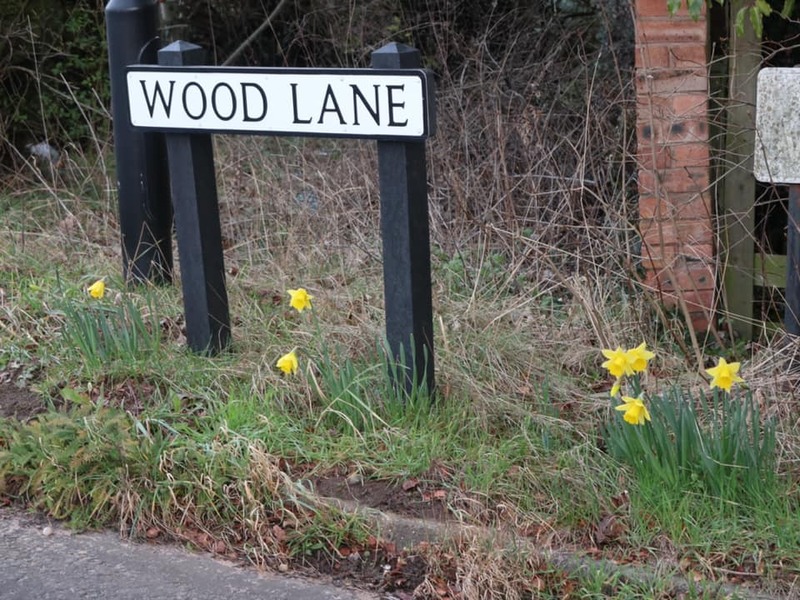 February 12th – One of the most reliable indicators of an ending winter are the daffodils on the corner of Wood Lane and Chester Road near the (soon to be closed) Wyevale garden centre. 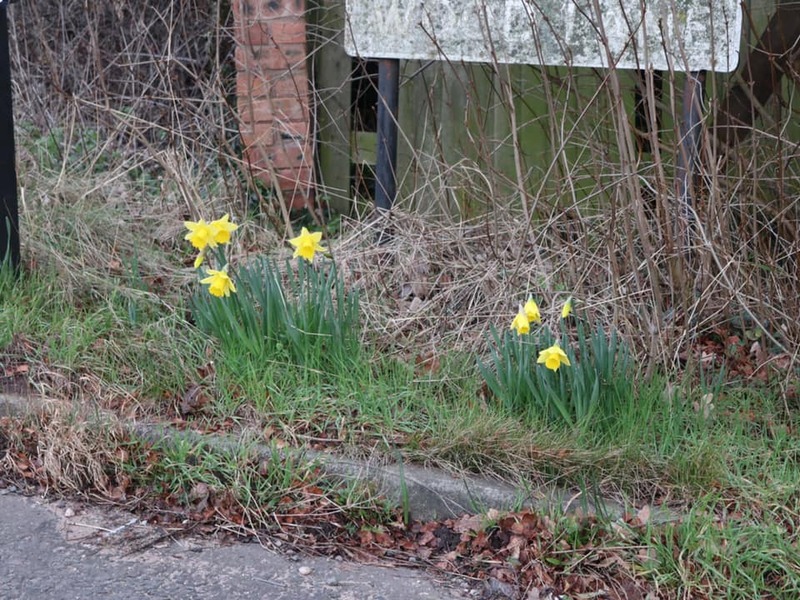 Every year without fail they are the earliest patch of wild daffodils I see, usually appearing in the second or third week of February. 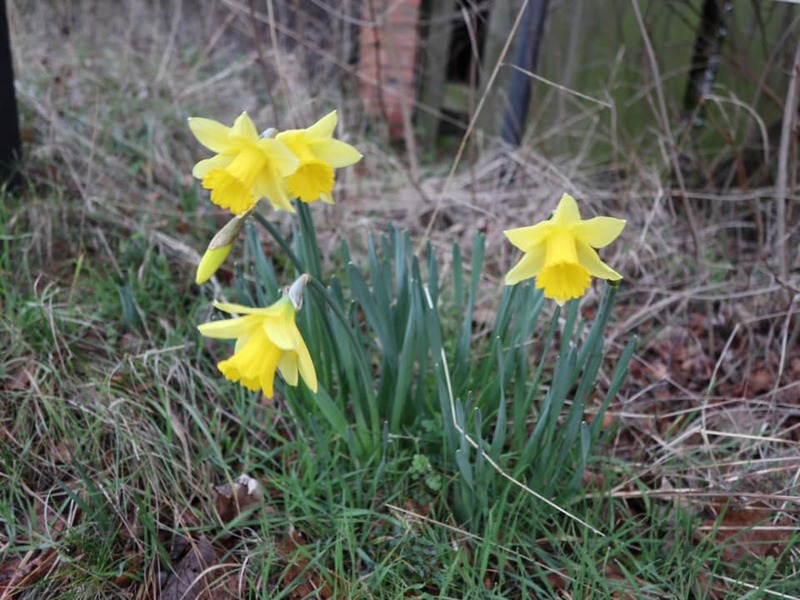 This morning, they were blooming bright yellow for my as I rode to the station, like old pals stand at the roadside to greet me. Hello, old friends. Welcome back. Good to see you, and the springtime you bring. Looks like we both survived another long, dark winter.